Notes: The StompLab series of effect pedals are impressive new contenders that pack powerful sounds into compact and sophisticated looking metal bodies. Sound variations are categorized by style, such as rock, blues, and ballad, making it easy for even novice users to recall the desired sound. In addition to the StompLab IG's dedicated guitar modeling and the StompLab IB dedicated bass modeling, the lineup also includes the StompLab IIG and IIB which provide an expression pedal. With high-quality looks, plus its high quality sound, the StompLab series will be a great companion for the guitarist or bassist for years to come. Simply playing the preset sounds is a lot of fun, but you'll definitely want to create some of your own original sounds as well. The StompLab IG contains 103 types of modeling effects, the StompLab IIG has 104, the StompLab IB has 60, and the StompLab IIB has 61. These effects are categorized as pedal, amp, drive, cabinet, modulation, delay, and reverb effects. When noise reduction is included, you can use up to 8 of them simultaneously. Each effect type provides multiple parameters that you can deeply edit to create your perfect sound. Since the sound engine is equivalent to those featured on the worldwide best-selling VT+ series of modeling amps and the ToneLab series of multi-effect units, you need no further guarantee of quality. Sounds you create can be saved as 20 user programs. The StompLab IIG and IIB are equipped with an expression pedal that can be used to control wah and volume, and also the parameters of each effect. You'll be free to create unique original sounds that you've never heard before. 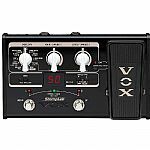 Notes: The V845 wah wah pedal is a new version of the most famous guitar effects pedal of all time. 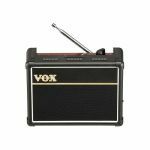 Based on the specifications of the original pedal developed by Vox in the '60s, the V845 wah wah offers guitarists the same legendary wah wah tone in a new sturdy but very affordable design. An AC power connector is fitted to save on batteries and the outer case is coated with tough all-black finish making it the perfect choice for your pedal board. 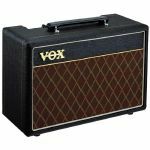 Vox developed the world's first Wah-Wah effect during the '60s in an effort to allow guitarists to emulate the sound of a trumpet being muted, an important musical ingredient of the day. 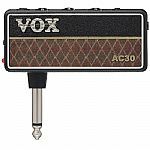 Vox's original Wah-Wah pedal quickly gained widespread popularity and its unique sonic characteristics have encouraged further experimentation by guitarists ever since. Having made spotlight appearances on some of the most famous recordings of all time, the Wah-Wah is still considered must-have equipment for guitar players of all levels and abilities today.